SUICIDE is the biggest killer of young people in Ireland and an Omagh man and his partner are doing their bit to tackle the problem by raising funds for North Belfast-based suicide prevention charity. PIPS. 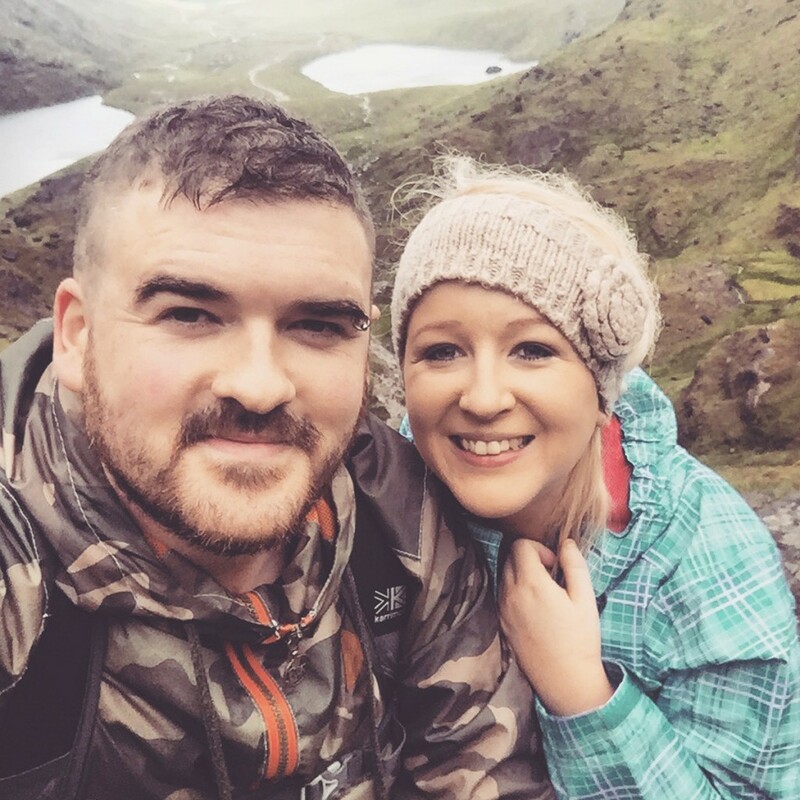 Barry McColgan, from Omagh, together with his fiancée Catherine are climbing the highest peak in each province to raise much-needed funds for Suicide Prevention. The August 26-29 challenge involves four peaks in four provinces over four days with Slieve Donard (Ulster), Lugnaquilla (Leinster), Carrauntohil (Munster) and Mweelrea (Connacht) the chosen peaks. The 32-year-old has been involved in suicide prevention work in the past with Sinn Féin youth and decided to do his own challenge to help raise money after taking an interest in mountaineering. “We did something similar in July last year when we climbed Carrauntoohil and raised over £500 for PIPS,” he said. “I had taken a keen interest in climbing mountains recently and this year, I wanted to up the challenge this year and raise a lot more. “I recently climbed Snowden, the highest mountain in Wales. I decided to do the same sort of challenge in Ireland – climbing the four highest peaks in the four provinces over the course of four days at the end of August. “Carrauntohil last year started my interest in mountaineering. We also did Ben Nevis in Scotland in December which was tough as it’s the highest in the UK and Ireland. There was snow from 700m up and we needed special equipment to do it. “I was previously the national organiser for Sinn Féin youth and suicide prevention was one of the big campaigns we undertook given that suicide is the biggest killer of young people in Ireland,” he added. The North Belfast suicide prevention charity is one that is particularly close to Barry and the Omagh man hopes his own personal challenge will help tackle the stigma surrounding the issue. Barry also hopes that part of the funds raised will be used to host a local suicide prevention training event in his home town in September. “It doesn’t matter what town or village you are from, nobody is untouched by suicide. It’s something that is particular important to myself. “I’ve been involved in organising suicide prevention workshops in the past and the idea is to give something back to PIPS whose work is so important to the cause. “There still is a stigma around suicide prevention and I want to tackle it. Rather than just talking about it, I wanted to help take action to combat the issue. “I organised a lot of workshops and they were very popular in local communities. Barry set himself an initial target of £500 but thanks to a ‘Just Giving’ fundraising page has already raised over £350 towards his target and he now hopes to raise as much as possible for the charity. “In advance of the walk, we would expect to raise the initial target of £500. As we are doing it, we will be constantly updating people with our progress and how the fundraising is coming along,” he said. “It’s not a huge initial target but we are confident we can surpass that. As any charity would tell you, every amount of money raised is useful. “It’s also to encourage people to fundraise if they are doing challenges as it’s more satisfactory to do such things for a great cause. PIPS was established in 2003 following the suicides of 14 young people under the age of 18 in North Belfast. The charity is a community-based organisation offering a care team service and family support for those bereaved by suicide and it relies heavily on the help of supporters like Barry.